Narrative: Possibly brought from England; previously owned by Mrs William Lang Black, Halifax, NS., grandmother of donor. Use is unknown but could be an accessory on a dresser, a pin dish or a salt dish. 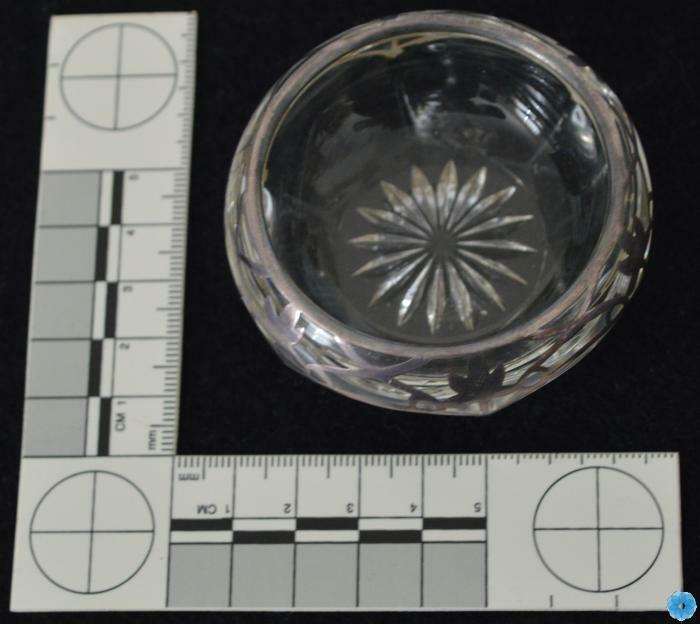 Small round bowl with an incised star design in outside bottom; six sides lead from bottom to three-quarters the height; a line of silver is applied in a scalloping manner around tops of sides; at the edge of each side is a silver leaf; between them a design leading to silver rim around mouth.